Consolidation and success in leveraging technology have driven profitability and productivity for many wholesale businesses. Plenty of opportunity is now available for those who want to buy wholesale businesses and those who want to sell wholesale businesses. A wholesale business is any firm that sells merchandise to retailers; to industrial, commercial, institutional, farm, construction contractors, or professional business users; or to other wholesalers. There are also wholesale businesses that act as agents or brokers in buying merchandise for, or selling merchandise to various individuals and companies. According to an investment guide published in December 2016 by IDC Manufacturing Insights, IDC finds that "wholesale distributors are essentially at a crossroad where they must either evolve or risk being marginalized." The wholesale businesses that will thrive moving forward are those that are able to "embrace IT and business process modernization to serve a greater role for their customers." It's pretty clear that wholesale businesses that are able to help their customers move towards success will also find success themselves in 2017 and beyond. Many wholesale businesses have been able to globalize their customer reach - in addition to growing their customer base - via e-commerce channels that make goods and services quickly available for consumption by both end consumers and business buyers. If you are considering the purchase or sale of a wholesale business, Transworld is committed to ensuring the best deal for all parties involved. 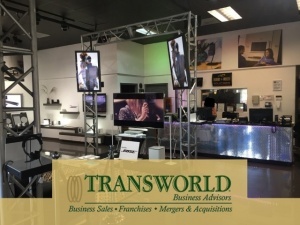 Transworld's business advisors will meet with each prospective wholesale business buyer to determine your abilities and interests, educate you about the search and buying process, and connect you with wholesale business sellers that match your criteria. If interested in selling your wholesale business, Transworld's experienced advisors will offer you full marketing support specializing in understanding potential market value and strict confidentiality, as they introduce you to suitable prospective buyers. 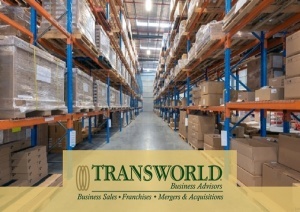 Transworld will be involved at all stages until the wholesale business changes hands and even beyond. Click here to find our listings of wholesale businesses for sale. We offer a detailed description of each wholesale business for sale, along with some basic business information, such as price, down payment, number of employees, and current inventory.